Flooding can cause a lot of damage, and air quality can be one of the biggest casualties of this type of disaster. You can pump water out of a flooded area, clean obvious mold growth and set up drying machinery, but it takes a lot of work to rid your Raleigh, NC commercial property of offensive odors. Here’s a look at the process used by experienced remediation contractors when working to restore a scent-free environment to buildings in the aftermath of a flood. 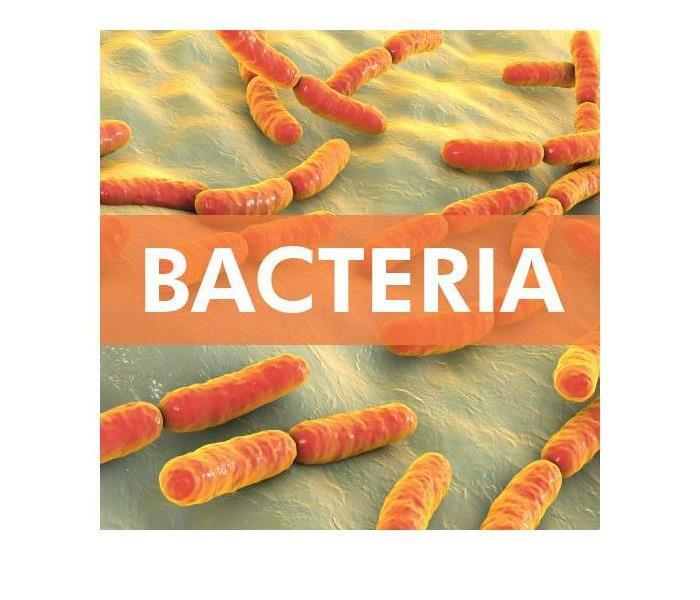 Once the underlying causes of the odors have been identified, technicians will get to work deodorizing the entire area. After setting dehumidifiers up in the space, the workers will use appropriate chemicals to remove odor-causing spores so they won’t grow back. If the affected region is small enough, you might be able to handle it on your own, but anything larger than 10 square feet should probably be cleaned by a professional. In the wake of flooding, you want your employees and customers to think of your building as a safe place to visit, and musty odors from mold growth could work against you. The unpleasant scents that often follow after flood water recedes are an indication of a problem, but they can also be used to track down stubborn spores that would otherwise evade detection. By hiring a team of experienced remediation professionals to address these issues, you can get back to business with the flood’s destruction safely in your rear-view mirror. Visit http://www.SERVPROcarymorrisvilleapex.com for more information on flood damage. Tackling the cleaning after a fire in Raleigh, NC comes with a host of new concerns: Can you restore items with smoke damage without further damaging them? Can you remove soot damage without weakening the structure of your home? Fortunately, the answer to both questions is positive: smoke cleaning and soot removal can restore many items to their pre-fire condition, though some types of restoration may require the aid of professional services. Careful documentation should be the first step of your cleanup process, but you may not be in the state of mind or have the necessary tools to compile an inventory on your own. Often, your insurance and restoration company can aid with inventories, walking you through each area of your home to compile an inventory that reflects the past and present. Because a fire often brings multiple types of damage, including water, soot and smoke damage, each of your belongings will need to be inspected individually during inventory to determine what is viable for restoration. Some items, such as stainless-steel cookware and glass, can be deodorized with consumer-accessible cleansers, while others, like clothes and photographs, are likely to need more specialized applications for restoration. For items that cannot be cleaned through conventional means, a content cleaning company may offer more extensive services. Ultrasonic machines can be used to deodorize nonporous items and return them to their original state, while dry cleaning can be used to remove odors from cloth items and restore your wardrobe. If you’re working with professionals, they’ll guide you through each step of the fire cleanup process and inform you which of your belongings, if any, require their specialty services. Finally, although a fire can cause both physical and mental stress, it need not permanently halt your life. By smoke cleaning your belongings and removing soot and smoke damage, you’ll be one step closer to returning a sense of normalcy for your family and recovering from the fire, which is the last, but most imperative, part of the cleanup process. Visit http://www.SERVPROcarymorrisvilleapex.com for more information on fire damage. Our team was called in to take care of the mold and moisture removal. If you have mold, call SERVPRO! When you find mold growing on a surface in your commercial building in Raleigh, NC, your first instinct is probably to find a sturdy rag and a strong chemical to get rid of it. Unfortunately, there is often more to fungus cleanup than you may realize, especially if it covers a large area. Here are three myths about mold cleanup methods that may not only fail but also make the problem worse. If you use a chlorine-based solution to scrub mold off a surface, you may see a change that seems to indicate the fungus has gone away. What you don’t see, however, is what is going on beneath the surface. While the growth on top has been scattered, the water in the bleach seeps down into the item’s pores where the hyphae grow. Since water encourages mold growth, this exacerbates the issue. You are likely to see more growth on the surface within a couple of days. Many people believe that if they just caulk over the mold between restroom tiles, the problem is resolved. This method does not work. Fungus cleanup involves more than simply hiding the visible evidence. Mold can thrive even if it is covered up by paint or caulk, and it will eventually grow through the cover-up, revealing patches once again. Some business owners will try to get rid of mold by scraping it off the surface where it grows. This can be problematic. 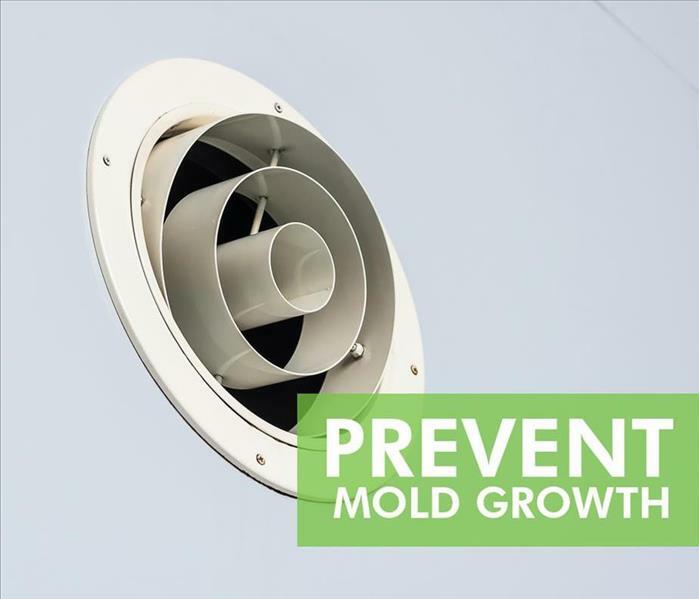 You may remove the growth on the surface, but the action can release thousands of mold spores into the air, which can then spread throughout your building through your HVAC system. To prevent the spreading of spores, you want to hire certified mitigation experts to clean up mold in your building. If you need fungus cleanup, it’s best to call in the professionals. They are trained to use techniques that stop the problem and keep it from returning. What Makes Adjusters and Clients Agree On a Restoration Service? It is important for commercial clients and insurance adjusters to come to an agreement on a restoration service. This can make it easier to settle an insurance claim in a manner that is satisfactory to all parties. Whether you are an insurance adjuster or a property owner, you should seek out a restoration service with the following features. SERVPRO provides information about claims, job costs and response times to insurance agents and adjusters through the Claims Information Center. Clients can also look up reviews and testimonials to determine whether a franchise meets their standards. These features can satisfy the demands of clients and make an estimate available to insurance representatives in a timely manner. Independent services may not be able to guarantee these times, particularly in the event of large losses caused by a disaster or storm. Adjusters and clients should also seek out a company that is capable of performing mitigation and restoration work. This allows for all work to be covered in a single estimate, which simplifies the insurance claim process. These are several points on which a commercial client and insurance adjuster should agree when it comes to choosing a restoration company. Clients and adjusters can work together to make sure their needs are satisfied when selecting a service in Raleigh, NC. After a flood in your home, your mind is probably racing with thoughts of your damaged keepsakes, furniture, and electronics. If your flooding is due to structural damage, you’ll likely have to fix a broken pipe or two as well. Follow these three tips to make dealing with insurance, home repair, and safety after this overwhelming experience easier. The repair and claims process will likely be a long and tedious one, so it’s essential to understand the details of your insurance coverage as soon as possible. When you do that, you’re better prepared with information that will help the process run more efficiently. Wipe away water from wood furniture to minimize swelling. Pick up loose items from the floor; they may be able to be dried and saved. Move upholstery and cushions from furniture to let them dry. 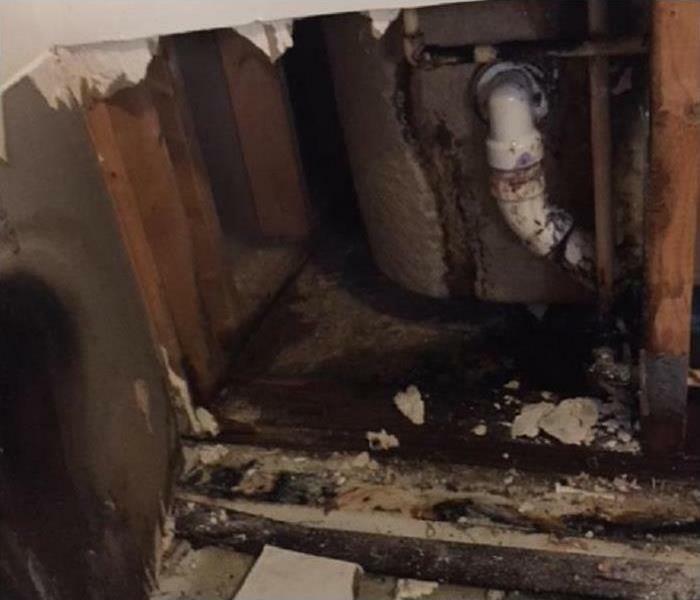 Besides these actions, your next step should be to contact water damage repair specialists in Wilbon, NC, to handle larger issues in the safest, most efficient way possible. Additionally, these specialists can work with your insurance to make the coverage process easier for you. During this stressful time, it’s important not to neglect your personal safety. Remember to keep your distance from electronics — don’t attempt to use them, even if they seem functional. Another thing to remember is not to use ceiling fixtures, and to stay out of rooms with sagging ceilings. A flood in your home is an incredibly stressful experience, but by following the above steps you’ll be on your way to getting everything back in tip-top shape. Whether it is a priceless classic or a sentimental piece of art, discovering that your painting has started to grow mold can create many concerns. You may wonder if there is anything to be done. Can Mold Cleaning Really Help in This Case? Here are the answers to a few questions that you might have concerning mold and artwork. 1. Why Do Paintings Develop Mold? Because they are created on porous surfaces such as paper and canvas, it is easy for paintings to trap moisture. When this happens, mold damage can occur. Mold spores grow and spread quickly in moist areas, so if your painting has gotten wet, whether it is from a small spill or severe storm damage to your New Hill, NC, home, it might be at risk. 2. Are They Beyond Repair? You might assume that, because it is a delicate product, mold remediation is not possible for your damaged painting. This is not the case. Professional mold removal specialists can clean paper documents, photographs and paintings to restore them to their previous condition. If your item has been damaged by water and has grown mold as a result, you can have mold cleaning done by a professional service. They will make sure that the painting is properly dried and will remove any visible mold before sanitizing the item to prevent mold from returning. Once they are finished, you may not be able to tell that the painting was damaged at all. While any damage to your property can be upsetting, it can be especially so if the items affected are of high value, whether it is sentimental or monetary. However, in many cases, mold cleaning is effective and can be enough to save the item. 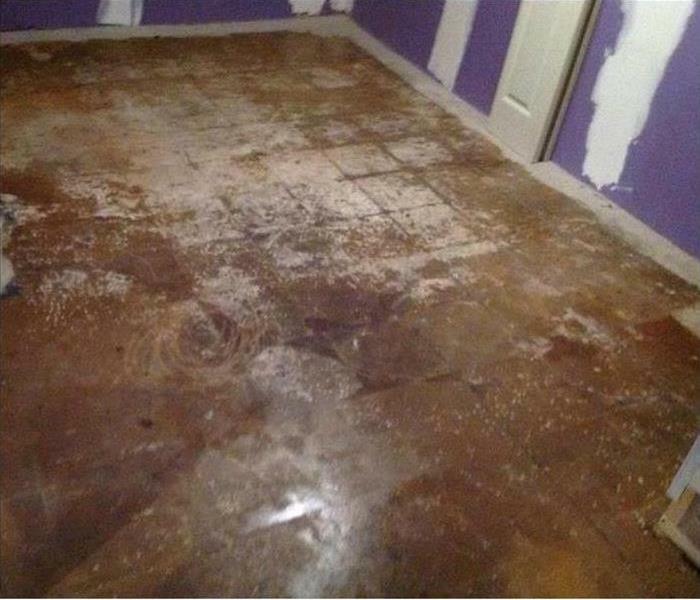 If your home has suffered water damage and your paintings have begun to grow mold, using a professional mold remediation service can leave them looking good as new. If a fire starts in your Fuquay- Varina, NC, home, you know it’s vital to get out safely and call the fire department as soon as possible. If the fire was extensive and ruined or damaged parts of the structure or your belongings, you need an experienced fire restoration team to help. The best companies have qualified professionals who will follow thorough steps to help ensure you get back on your feet soon. The first thing the team will do is complete a thorough, meticulous inspection to assess the extent of the damage. Technicians will come up with a plan of attack based on how much of the home suffered damage, what portions of the home and what items need attention, and what they can salvage and what they must replace using rebuilding services. If fire and smoke completely ruined areas beyond repair, the team will remove these items to prevent further problems. Company representatives will also mitigate holes and gaps in the roof or walls by boarding up and tarping the problematic places. 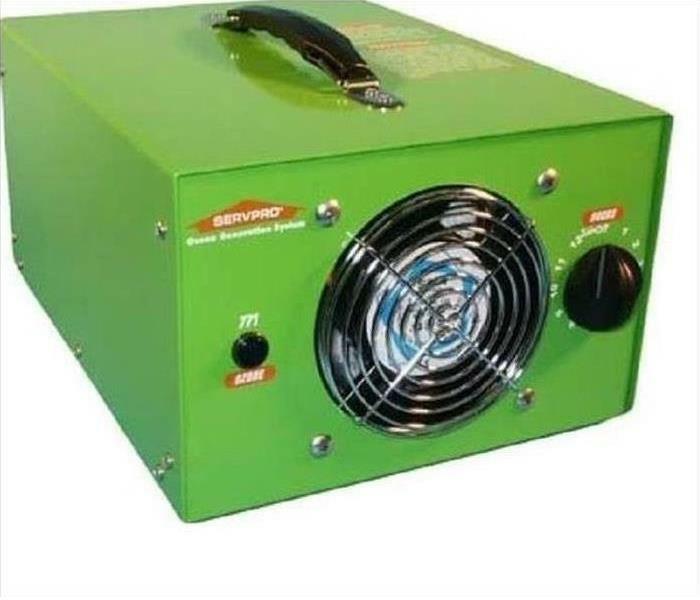 Smoke damage can make fire restoration difficult, but SERVPRO has the necessary equipment and methods to clean just about anything, including electronics. The team will do its part to make your home livable once more. In a fire rebuild, SERVPRO will repair and restore drywall, flooring, roofs and other places that the fire ruined. The team will replace items as a last resort. For your fire restoration needs, trust SERVPRO. The team has what it takes to ensure a successful repair and rebuild of your home. Water damage is classified into three categories. Category One water is clean. Category Two water, or gray water, is contaminated, but does not contain solid waste. Category Three water, or black water, is severely contaminated. This water originates from a flood or sewer backup. Find out more about why it is necessary to disinfect any building materials and contents exposed to flooding. When a body of surface water overflows or heavy rain accumulates, this water may mingle with overflow from sewer mains. Water accumulates more contaminants as it flows. For this reason, it is important to extract standing water before cleaning and disinfecting any parts of a commercial structure exposed to this type of water damage. All of these pieces of equipment can be useful if a building occupant needs to move through flood water for any reason. Individuals should factor in the depth and speed of the water when deciding whether to cross. There are several stages to cleaning up flooding. A commercial restoration company will extract black water with a pump or other specialized equipment. It may be necessary to tear out damaged building materials. Afterwards, the area should be cleaned, disinfected and dried. Once the area is totally dry, restoration can proceed. It is important to exercise caution during flooding in Holly Springs, NC. The owner of a commercial building should contact mitigation and restoration professionals as soon as possible to start the water damage cleanup process. Check Out These Five Great Tips! Mold loves to grow in the most wet, humid places in your home, which makes it no surprise that bathrooms often serve as a breeding ground to various kinds of bathroom mildew and mold. Dealing with a serious mold issue in Apex, NC, is certainly the last thing you want to have to deal with. To keep every part of your bathroom mold-free, check out these five great tips! Often a humidity issue in a bathroom is due to a lack of ventilation. Make sure to turn on the exhaust fan every time you shower and let it continue to run until all the steam is gone. Keep the door open after you leave as well, and open the window if you have one. Leaving puddles of water on the floor or dripping down the tub walls is a great way to invite bathroom mildew into your home. If you want to avoid having to call a mold remediation specialist, mop up puddles and use a squeegee to remove excess water from tiles. Mold thrives in dark environments, so go ahead and let in the light! If you have a window in the room, keep the blinds open and consider leaving on the bathroom light for a bit longer after you shower. Clean your bathroom often to discourage the growth of mold. Take special care when cleaning the shower and replace shower curtains and washing sponges often. Grout is porous and soaks up a lot of moisture. Make sure to reseal grout lines at least once a year and deep clean them regularly. While it is easy to forget to take good care of your bathroom every time you take a hot, steamy shower, following these tips will save you time and effort by keeping your home clean of bathroom mildew! 3/25/2019 - What Makes Adjusters and Clients Agree On a Restoration Service? 2/13/2019 - What’s In Flood Water?